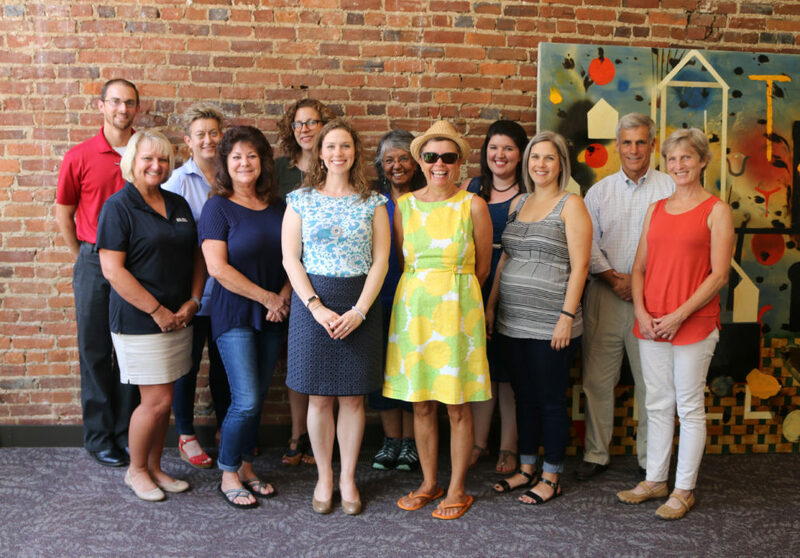 LOUISVILLE, Ky. (July 23, 2018) – Today, the Fund for the Arts announced the recipients of the 2018 Imagine Greater Louisville 2020 grants. Grant proposals were open to counties across the region, including: Bullitt, Henry, Oldham, Shelby, Spencer, Trimble, Clark, Floyd, Harrison, Scott and Washington. These grants were awarded to ten artists and groups for their ability to propel the mission of Imagine Greater Louisville 2020 forward. Established in 2017, Imagine Greater Louisville 2020 (Imagine) is a blueprint for the future of Greater Louisville’s arts and culture, built out of the community’s vision. The plan resulted from feedback from nearly 5,000 residents of the region, provided by public meetings, interviews and surveys. In February, Fund for the Arts – the community’s driver of Imagine – announced a regional call for arts and culture proposals to activate Imagine’s outlined strategies and actions and propel the plan forward. Bernheim Arboretum and Research Forest: Seeds of CONNECTion – This project will commission British artist Ashley Peevor to conduct workshops and create living costumes known as Grassmen, in order to teach participants about the cultivation of living sculpture through seed growing and provide the experience of connecting people to nature and one another through the lens of art. Bluegrass Anonymous: Concert Series – Bluegrass Anonymous and Clarksville Parks & Recreation will provide free Bluegrass concerts in Lapping Park, in order to support local musicians, attract national touring acts and shine a greater light on the bluegrass music for which our state is famous. Bullitt County Arts Council: Arts Reach Project – Provide arts supplies and instruction to young people and senior citizens at community centers and assisted living facilities, thereby enriching lives and improving mental health through increased engagement, creative thinking and artistic expression between generations. Commonwealth Theatre Center: Discover Drama – Implement a research-based, drama-infused residency program for Bullitt Alternative Center students, to provide valuable skills to teens in order to ultimately increase emotional literacy and better understand stress and trauma triggers. William M. Duffy: In My Community – The sculptor will work with students at the Griffin Community Recreation Center to create collages of people/places in the community, to both teach them sculpting skills and help build a sense of personal pride. Historical Society of Harrison County: Jazz Concert in Corydon Square – This concert allows Harrison County residents to experience high quality jazz from internationally known jazz musicians, Jamey Abersold’s Jazz Quartet, free of charge. Kentucky Shakespeare: Shakespeare Tour – This educational, interactive production of The Taming of the Shrew, accompanied by workshops, provides arts programming to all Clark County elementary schools, boosting literacy and using the arts to enrich academic training and critical skills. Louisville Youth Orchestra: NouLou&YOUth! – A partnership with NouLouChamber players, offering free, quality educational chamber music programs to Bullitt, Henry, Oldham, Shelby, Spencer and Trimble counties, providing professional educational support for LYO members and stoking engagement and passion in the counties. MobileMaker: Generation Maker – A mobile art, science, engineering and innovation lab that provides STEAM educational activities to students in grades kindergarten through five, to educate students a number of valuable skills such as woodworking and laser art, that bridge the gap between subjects and expose them to exciting, innovative career opportunities. Shelby County Community Theatre: SCCT Academy Scholarship Program – Offer adult and youth scholarships to the SCCT educational outreach program, in order to enhance necessary skills like theatrical training and public speaking and increase education accessibility. Each of the projects which received grants must take place in one of the counties listed above, address at least one of Imagine’s described strategies and actions, and contain methods to track success. More information on the Imagine Greater Louisville 2020 plan can be found at: http://imaginegreaterlou.org/. In total, the artists and groups received nearly $50,000 in funding. Fund for the Arts is a regional nonprofit with the mission to maximize the arts to drive economic development, education, and quality of life in our community. The Fund conducts one of the oldest united arts campaigns in the country and supports world-class institutions, community organizations and arts in education. Fund for the Arts also hosts the nationally recognized NeXt leadership development program for young professionals and leads collective action across the arts and cultural sector. For more information, visit www.fundforthearts.org.